Pursuant to art. 8 sec. 1 p. 1 of the Act of July 18-th 2002 on the provision of electronically supplied services COSMO HEALTH Ltd Unit 4 Enterprise Court, Farfield Park, Rotherham, South Yorkshire S63 5DB, UK (United Kingdom), tel. 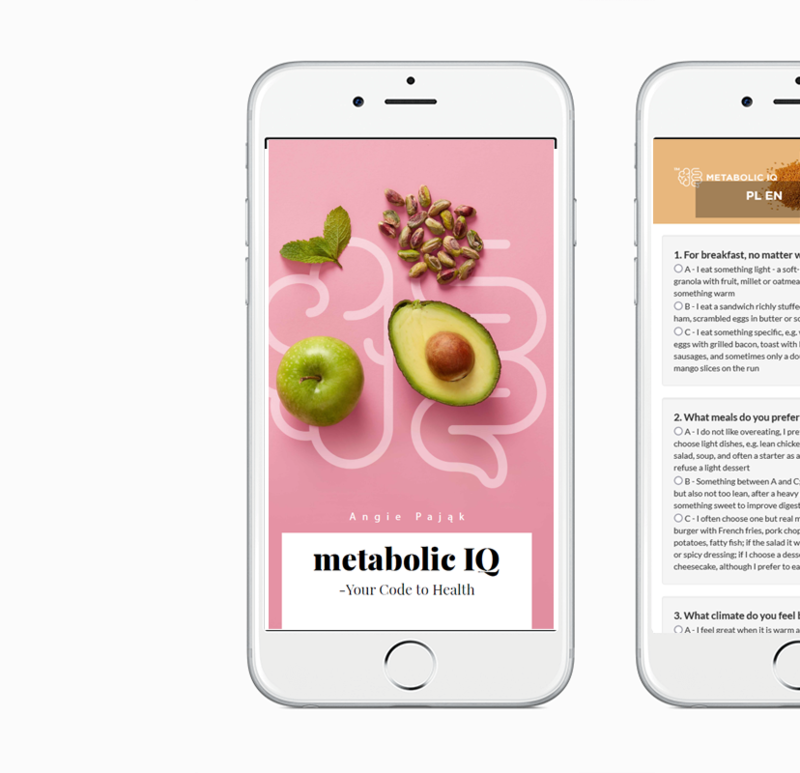 +48507427080 (hereinafter referred to as “Operator”) sets this Terms of electronically supplied services (hereinafter referred to as “Regulations”), which regulates the terms of usage of the mobile application made by Operator called “Metabolic IQ” (hereinafter referred to as “Mobile Application”). Mobile application is designed exclusively for Consumers. The Consumer is a natural person, who, with the entrepreneur, acts in law- which is not directly related to his/her business or professional activity. The consumer who uses the Mobile Application to the needs of these Regulations is known as “User”. The User can be a natural person only who has full capacity to perform acts in law or has limited capacity to perform acts in law after obtaining an adequate legal consent of his/her statutory representative or trustee. To the issues not specified by these Terms, following provisions shall apply: provisions of the Civil Code (Dz.U. (Journal of Laws) of 1964 No. 16, item 93 as amended), the Law on Consumer Rights of May 30-th, 2014 (Dz.U. (Journal of Laws) of 2014 item 827), the Act of July 18-th 2002 on providing electronic services (Dz.U. (Journal of Laws) of 2002, No. 144, item 1204, as amended), the Act of August 2th 1997 on personal data protection (Dz.U. (Journal of Laws) of 2002, No. 101, item 926, as amended), the Law of February 4-th 1994 on copyright and related rights (Dz.U. (Journal of Laws) No. 24, item 83, as amended). 1.8. Making use of NUTRITION PYRAMID function. Providing services for the Users of the Mobile Application takes place under the conditions specified in the Terms. The user, while using the Mobile Application, in accordance with Terms and the applicable laws, has the right to enter his/her data. Making use of the Services offered by Mobile Application is possible only after installing the appropriate electronic device (in accordance with the requirements set out in Chapter VI of the Terms), and after accepting the Terms. Installing the Mobile Application and accepting the Terms is identical with the entering into a contract with an Operator for providing services referred to in Chapter II of the Terms. The Services via Mobile Application described in Chapter II, Section 1.1 and 1.4 of the Terms are for free. The Services via Mobile Application described in Chapter II, Section 1.5 and 1.8 of the Terms require payment. The User can choose the free trial package TRIAL; he/she has the right to use certain material and content available on the Application. Fees for services from PRO package are specified in the price list, available HERE. Payment must be made via electronic payment services provided by Mobile Application (ewallet, AppStore). Activation of the paid service will be made after posting the money on the Operator’s account. The User has the right to withdraw from the contract without giving any reason, by a declaration made in writing, in particular sent electronically, within 14 days from the date of entering into the contract for using services. 8.2 in the case of contract for services, if the Operator has carried out a full service with the clear consent of the Consumer, who has received Operator’s information that when service is carried out, he/she will lose the right to withdraw from the contract. The contract for services involving using the Mobile Application is concluded for an indefinite period. Making use of the Mobile Application by the User, means that he/she has become acquainted with the Terms carefully. The User, while accepting the Terms, acknowledges that copyrights and all the trademarks related to Mobile Application, not excluded by the provisions of separate regulations or licenses, belong to the Operator and are subject to legal protection, in particular by the Law of February 4-th 1994 on copyright and related rights (Dz.U. (Journal of Laws) No. 24, item 83, as amended). It is prohibited to use these intellectual property rights or services of the Mobile Application for purposes other than the ones specified in the Terms. The User is fully responsible for any damage caused to the Operator; a consequence of using company or Mobile Application trademarks, without the Operator’s consent or violating the Terms. 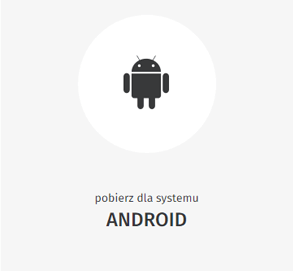 In order to make use of Mobile Application in a proper way, it is required to have mobile devices (phones, tablets) with the operating Android system: version 4.1 or a higher one or iOS version 9.3 or higher. The Operator is obliged to protect User’s personal data in accordance with the provisions of the Act of August 29-th 1997 on personal data protection (Dz. U. Journal of Laws) of 2002, No. 101, item 926, as amended). The operator will process personal data in order to provide services related to the functionality of the Mobile Application. At any time, the User has the right to correct his/her personal data or remove them, in particular, when the data are processed by the Operator unlawfully. While carrying out a contract between the parties, the Operator is committed to perform the services with due diligence and bear responsibility if they are not provided in a proper way. The Operator is not responsible for any illegal actions of the User making use of the services of the Mobile Application. The information and content available through the Mobile Application have educational nature. 4.4 the User should observe the effects of the diet and its impact on the overall health and shall immediately discontinue it if negative effects occur. The User is responsible for the failure to comply with the recommendations stated in this chapter and medical personnel’s indications. The User has the right to fill a complaint in matters related to the usage of the Mobile Application in the manner provided in this chapter. Complaints can be submitted via email to the address hello@metaboliciq.com or send in writing to the Operator’s headquarters, in a manner allowing the identification of the person who is filling the complaint. 3.3. description of the problem which concerns the complaint. The Operator will make every effort to ensure that complaints are dealt with within 14 days from the date of their receipt by the Operator. The Operator will immediately notify about results, the person filling the complaint in writing or via e-mail on e-mail indicated by the User. The User may stop using the Services offered by the Operator in accordance with the Terms at any time by deleting the Mobile Application from the device on which the Mobile Application has been installed, which is tantamount to the termination of a contract for services specified in the Terms with immediate effect. It is prohibited to send illegal content using the Mobile Application. It is prohibited to use the Mobile Application for profit or advertising purposes without the prior written consent of the Operator. If the Operator detects the usage of the Mobile Application for commercial purposes, the Operator reserves the right to block the Mobile Application for the User.